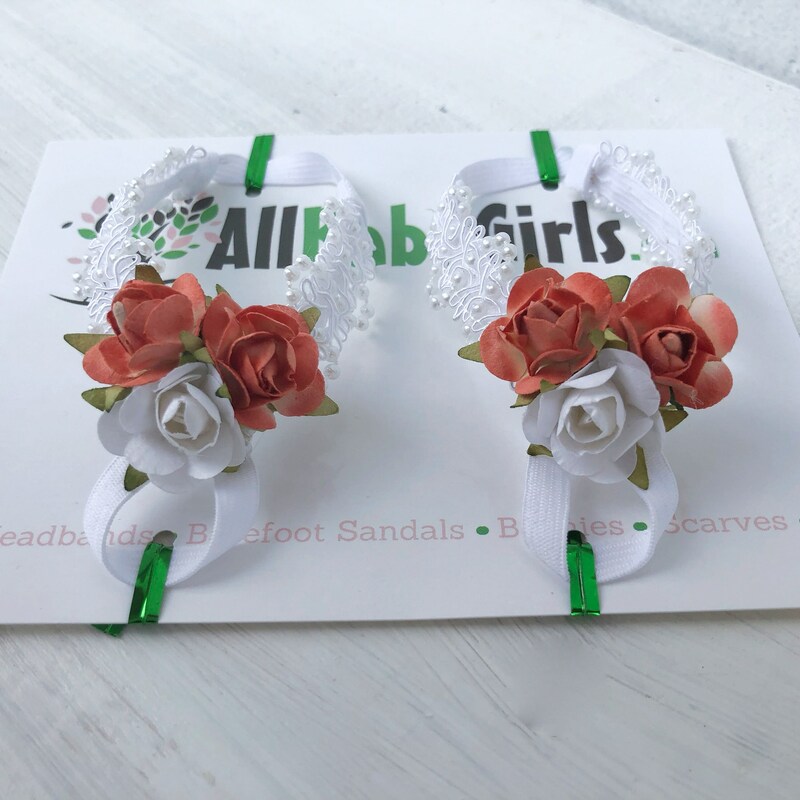 Size XS: Newborn 3.5" S: 03-06 Months 4.0" M: 06-12 Months 4.5" L: 12-18 Months 5.0" XL: 18 to 3 Years 6" XXL: Big Girl 7" 3XL: Mommy size 8.5"
White Barefoot Sandals, Barefoot Sandals Baby, Barefoot Baby Sandals, Baby Sandals, Baby Barefoot Sandals, Barefoot Sandals For Babies. 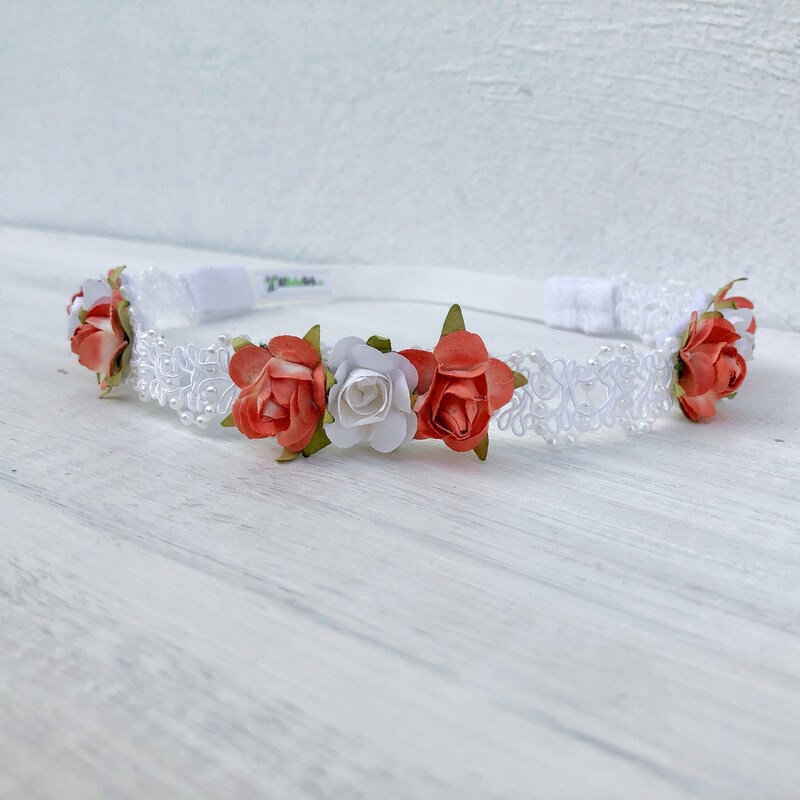 These Blooming Flowers White Lace Baby Barefoot Sandals are just perfect for any age! 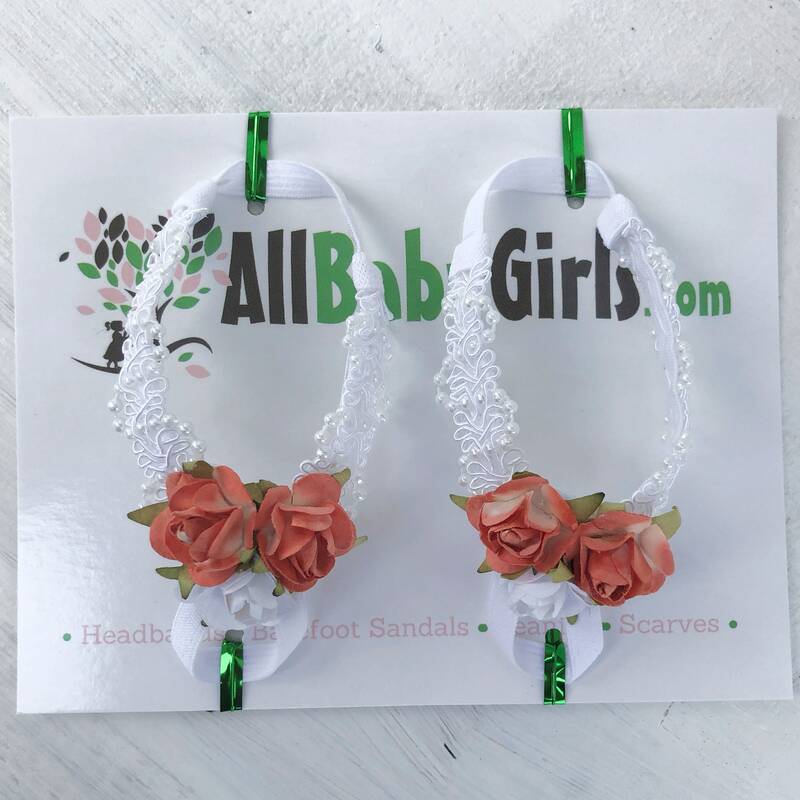 The front part of this sandal will not stretch but there is enough stretch elastic on the back for a perfect fit. 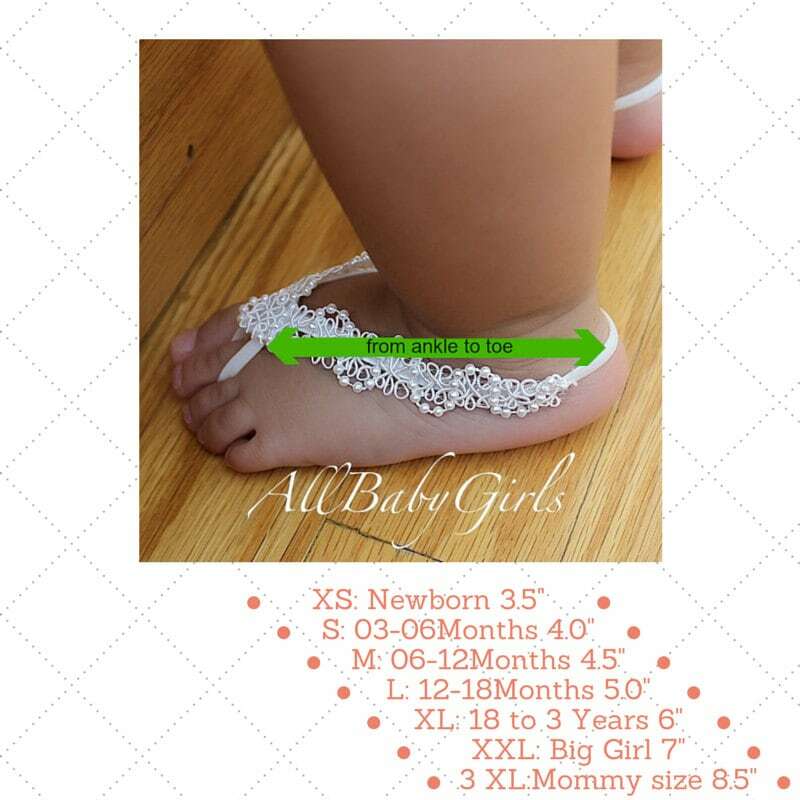 XL: 18 to 3 Years 6"
Please look at the last picture of the listing for a guide to calculate the best size to order.